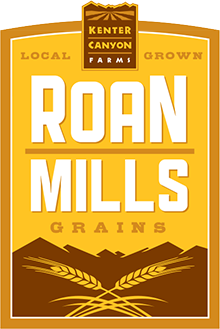 Our Roan Mills cracked emmer makes an interesting change of pace for hot breakfast cereal. It can be sweetened with brown sugar or served with a spicy dusting of cayenne pepper. Heat the butter in a large saucepan and brown the onions and garlic, add the curry paste and the raisins and cook for another minute. Add the milk and bring to a boil, sprinkle the cracked emmer into the saucepan and stir to prevent lumps forming. Cook for 10-12 minutes over low heat, stir often to prevent scorching. Serve forth with optional garnishes and a small pitcher of milk to loosen the texture as desired.